Robin Joines is the Senior Vice President, Risk Management for Sedgwick, a leading global provider of technology-enabled risk and benefits solutions. Sedgwick delivers cost-effective claims, productivity, managed care, risk consulting and other services through the dedication and expertise of nearly 15,000 colleagues in some 275 offices located in the US, Canada, the UK and Ireland. Since 2011, Robin has developed the risk management function at Sedgwick, where she has responsibility for insurance placement, business continuity planning, claims management, and safety and risk control functions. Robin serves on the Board of Directors for the Spencer Educational Foundation, the premier organization awarding scholarships and grants in risk management and insurance, facilitating internship opportunities, and providing a Risk Manager in Residence program to universities. Robin also serves on the Board of Trustees for Gamma Iota Sigma, the international business fraternity for students of insurance, risk management and actuarial science. Robin is actively involved with RIMS, currently serving as the Chair of the Student Advisory Council. She received the Ron Judd “Heart of RIMS” award in 2016, recognizing her volunteer contributions which keep her Chapter, and hence the Society, vibrant and resilient. 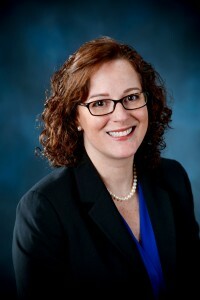 Robin participates in the Risk Manager in Residence program with the Spencer Educational Foundation, and she serves as a judge for the Spencer-RIMS Risk Management Challenge. She is also a student mentor and judge advocate for the University of Mississippi School of Business Administration and Risk Management, and has spoken at several conferences and on multiple college and university campuses.